If you had walked into the nearly empty Showbox to the sound of old-timey country music blasting through the speakers the way that I did on November 6th, you would have never guessed that you were going to be attending any kind of rock show. However, throughout the night, Black Lips, Iceage, and Surfbort showed that they were full of surprises with every minute they performed. Though the show began at 8:30 sharp, a vast majority of the audience was either in the bar or just not in the venue when Brooklyn based punk band Surfbort took the stage. Despite the minimal crowd, Surfbort put on an incredibly impressive show in the time that they had. 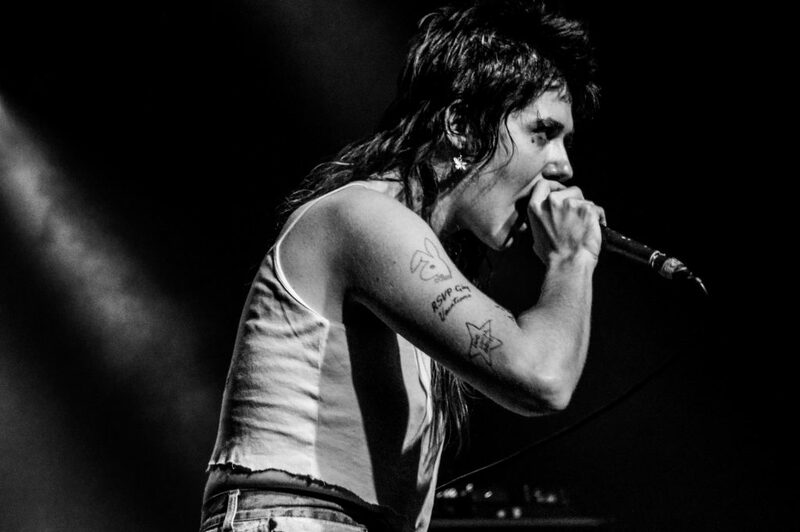 Frontwoman Dani Miller danced, screamed, jumped into the crowd, and with the help of the rest of the band, performed with enough heart to create an unforgettable statement. 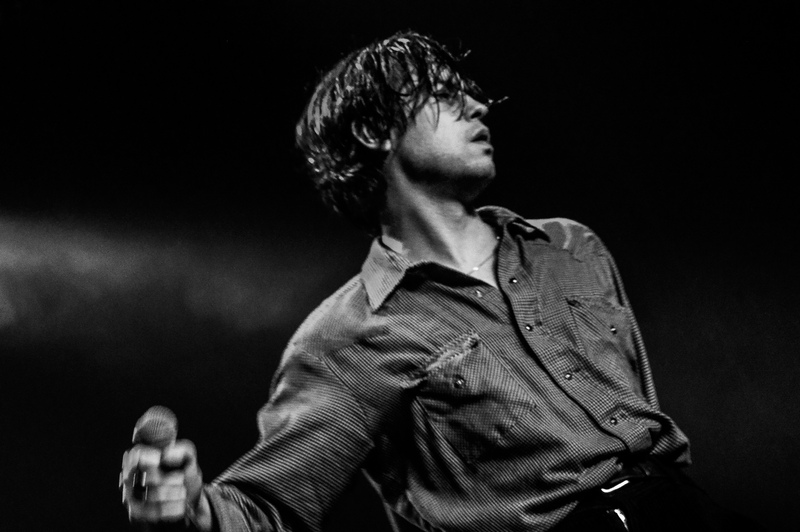 Next up on the bill was Iceage, coming all the way from Denmark. The post-punk quartet’s intense set was practically the stark opposite of Surfbort’s unruly and slightly goofy set, but proved to be equally as entertaining. From the moment he stepped onto the stage, lead singer Elias Rønnenfelt made sure that every eye in the venue was on him. Stumbling aimlessly as he sometimes crooned, sometimes belted out his lyrics, Rønnenfelt and the rest of the fiercely talented band cranked out cutting tracks such as “Painkiller,” “The Lord’s Favorite,” and “Catch It.” After a stellar set, Iceage thanked the crowd, then walked offstage 10 minutes earlier than the posted schedule claimed that they were supposed to. The floor of the Shoxbox finally began to close in the moment that Black Lips’ banner was lifted into the air. 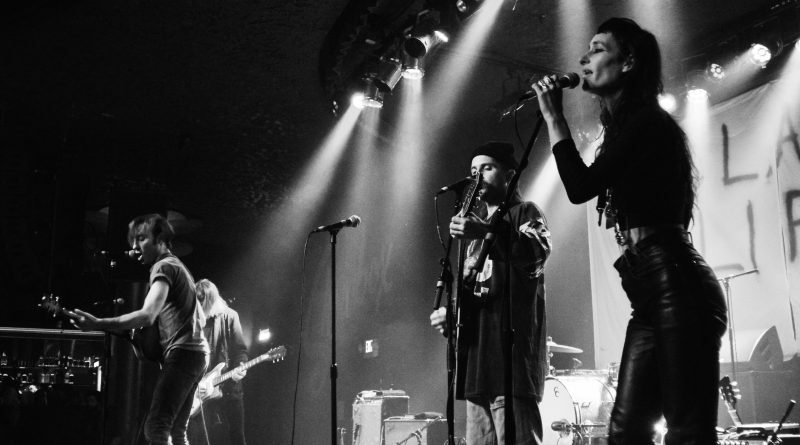 Before this moment, the audience had been strangely rigid when it came to dancing and overall movement, but all of this changed the second that Black Lips made their entrance. Everyone’s head began bopping uncontrollably as the clashing of drums and wailing of guitars filled the venue. 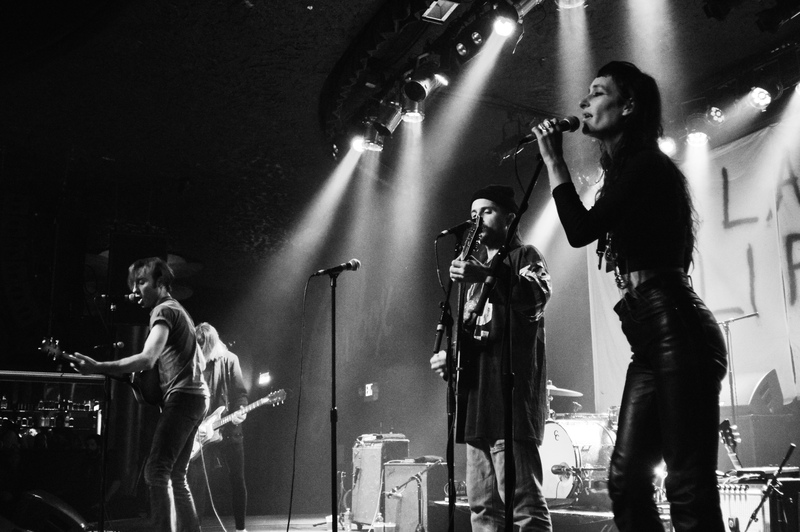 Though touring in support of their 2017 record Satan’s Graffiti or God’s Art?, Black Lips made sure to play old favorites such as “Bad Kids” and “O Katrina!” and constantly informed the audience of how happy they were to be performing for Seattle, as well as graciously thanking everyone in attendance as often as possible. 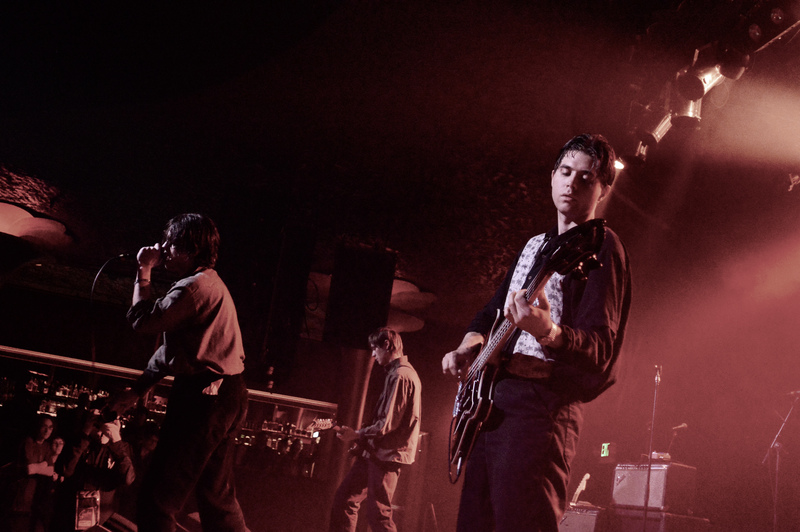 Together, Black Lips, Iceage and Surfbort made up a diverse, eclectic, and seamless lineup of bands who all perform with a purpose: to astonish and astound, yet also to provide an overwhelming feeling of wonder, belongingness, and appreciation for music as a whole.